I dream of a place I visited last summer. A place of peace and tranquility. The gentle sound of water, of birds, of the breeze in the trees and the hum of insects in the evening. OK, the insects were a bit of a nightmare. What started out as a photo of the reflection in the mirror, became something totally different. Edges began to blur, light became liquid and reality was open to interpretation. Camera: unknown, original settings: unknown, artistic effects done in Photoshop, further tweaking in Silver Efex Pro 2 and finished in Lightroom CC Classic. More of my work can be seen by visiting my Northern Visions blog. Perhaps it was just a dream? The memory is hazy, was it real or a dream? Did I walk in this place or is it a place not of this reality? The image exists, so the place must exist…somewhere. More of my work can be found at my personal photography blog. Does someone still tell stories of beautiful times spent living in this house… or are the memories buried deep inside and not worth remembering? 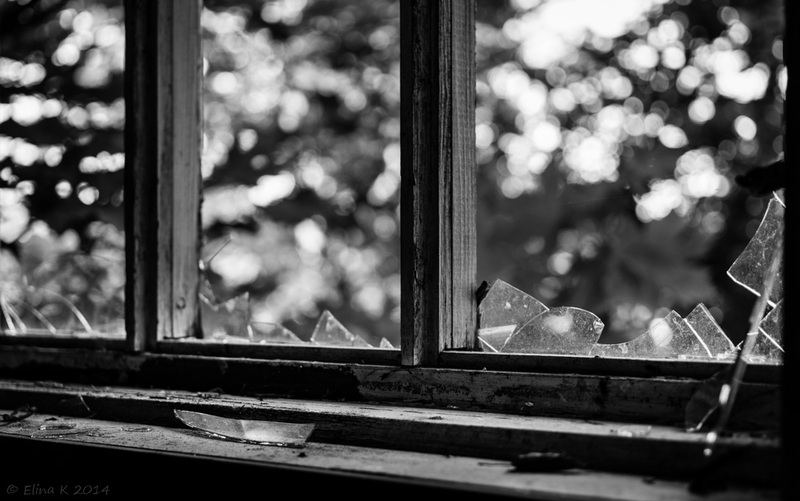 A broken window of an abandoned house. Makes me wonder what happened and why, and were there broken dreams as well?